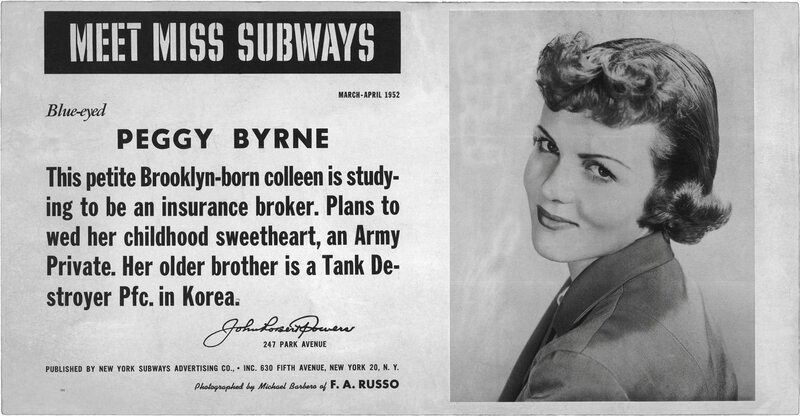 Miss Subways was a contest that took place in the New York City subway system from 1941 to 1976. During that time, approximately two hundred women held the esteemed title. 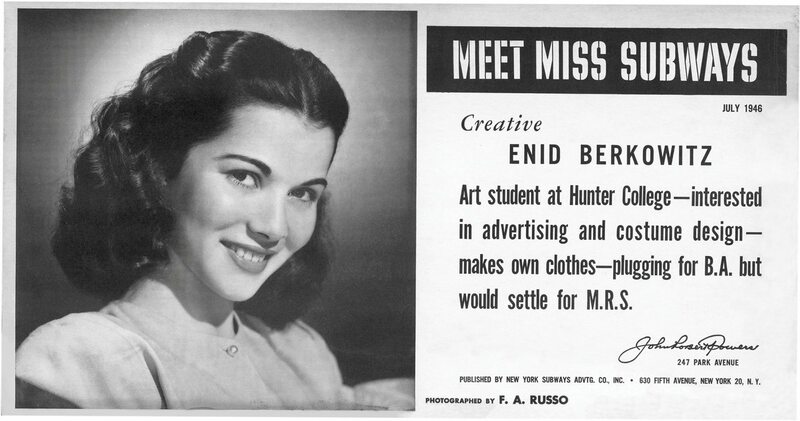 The New York Subways Advertising Company developed the program, which featured glamorous photographs and short descriptions about the winners on placards in the subway cars. As the contest evolved, it took on local importance and a historical significance that endures to this day. 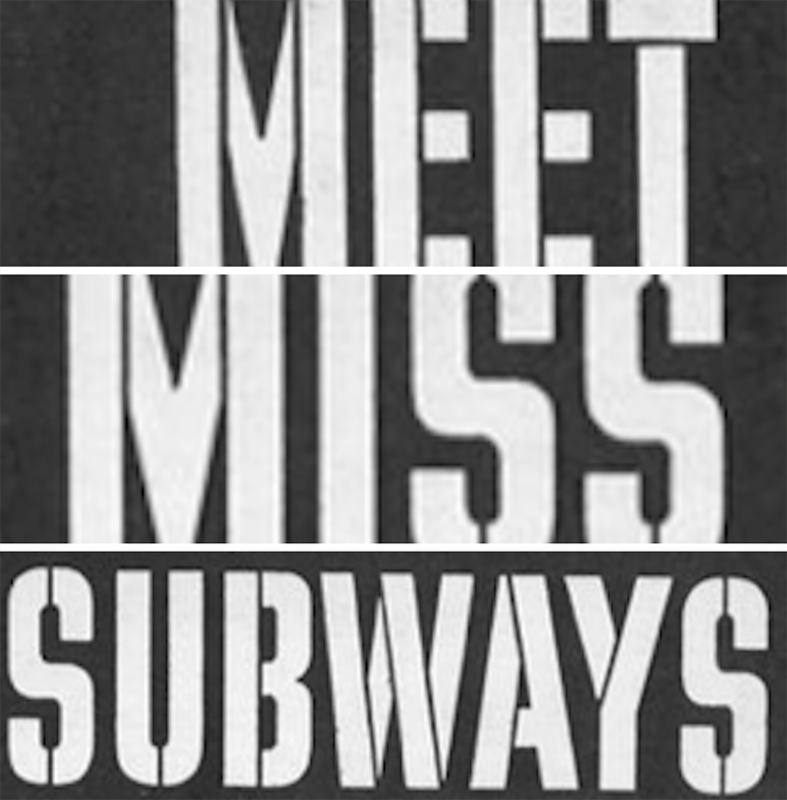 Follow the Miss Subways account to see posts about the contest, past winners, and more! 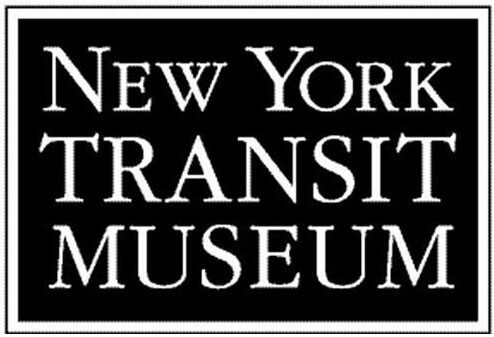 At the New York Transit Museum, in Brooklyn, NY you can travel back in time by walking through vintage subway cars and staring up at original Miss Subways posters. 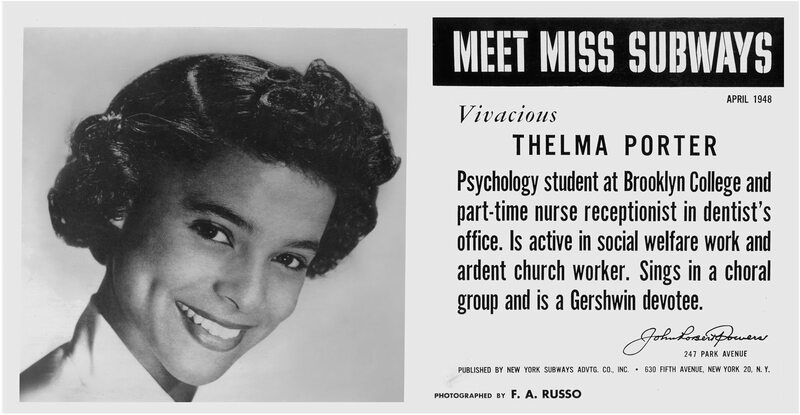 I first heard about Miss Subways while listening to an NPR Radio Diaries episode called “’Miss Subways’: A Trip Back in Time to New York’s Melting Pot,” produced by Samara Freemark on All Things Considered. You can listen to the episode, read the transcript, and click through the slide show of photos. 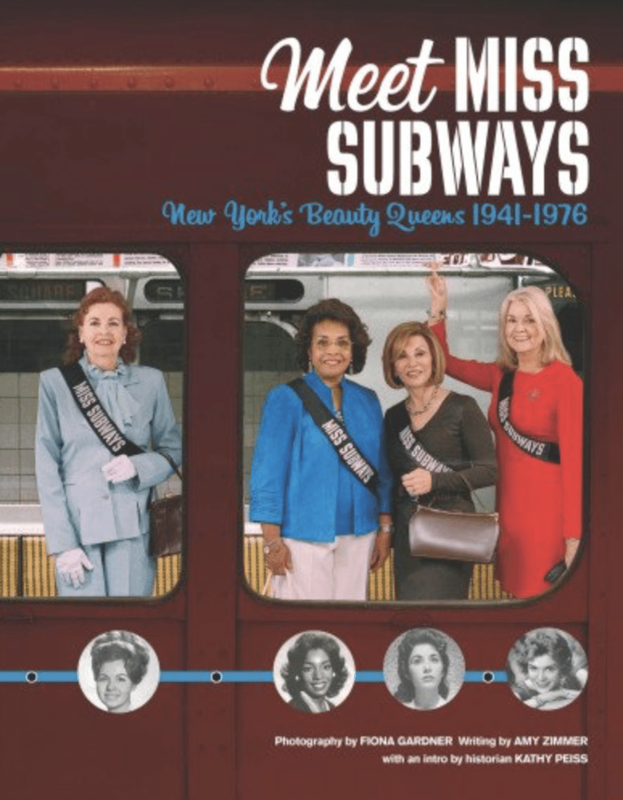 In the book Meet Miss Subways: New York’s Beauty Queens 1941-1976, Fiona Gardner and Amy Zimmer tracked down 40 Miss Subways winners to ask them about their experiences and photograph them in their homes. This treasure trove of a book contains these women’s stories along with a comprehensive history of the contest. 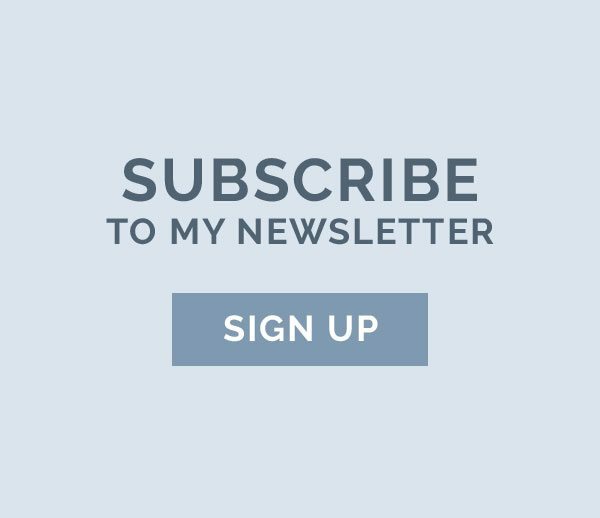 A must-read for fans of Miss Subways!